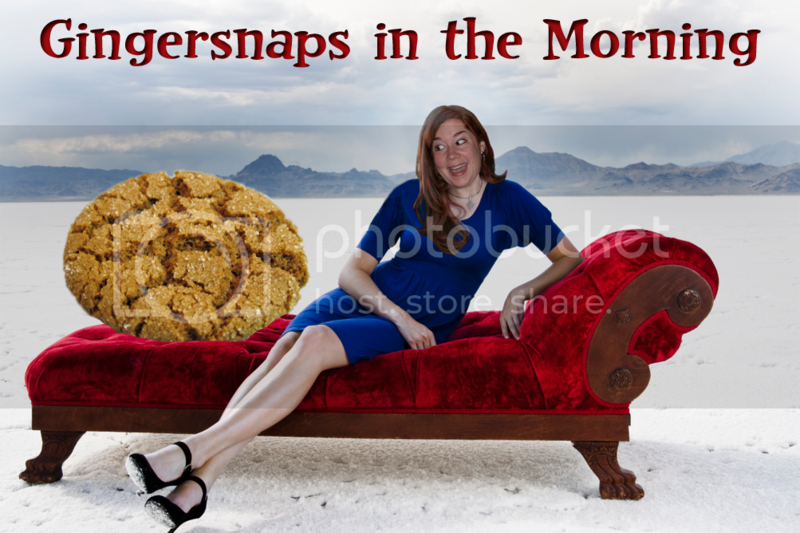 Fabled Friday to you all, my little gingersnaps! We've made it to the weekend. So do you have any special holiday weekend plans, those of you who live in the U.S.? BBQ? Fireworks? Bank Robbery? 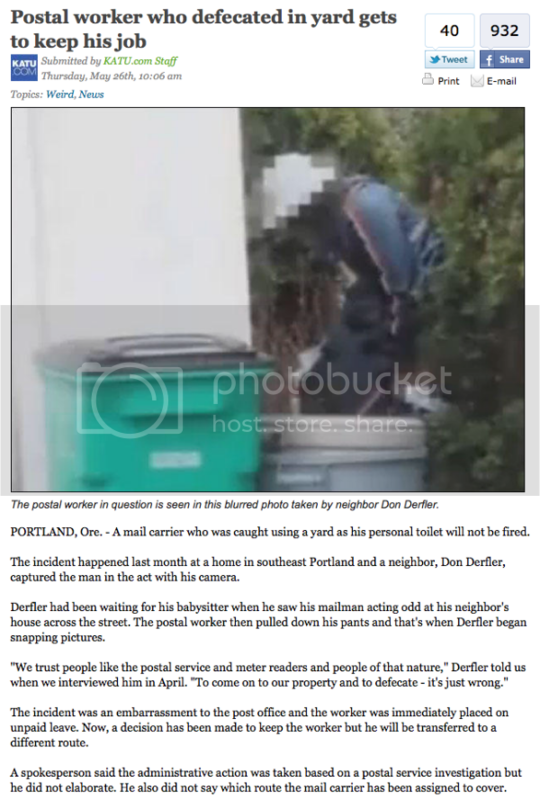 In the news, a decision has been made to allow the postal worker, who took a crap in someone's yard after delivering the mail, to keep his job. (picture taken by neighbor who thought the post office worker was acting suspiciously) He will just be assigned a different route. You know why he wasn't fired right? Everyone knows you just don't fire postal workers. They go postal! Already the man is willing to take a crap in someone's yard. Believe me, they are better off just reassigning him. Maybe give him a raise. Anything to keep the crap-dropping guy happy. 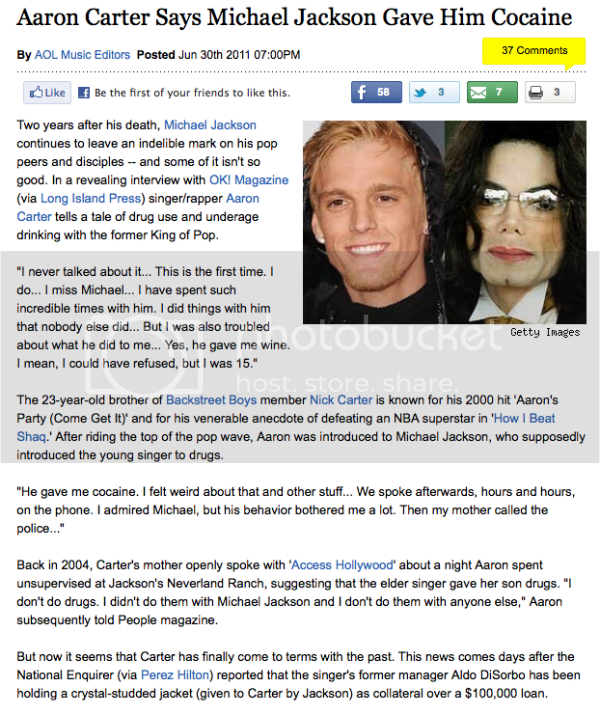 In the This-Doesn't-Surprise-Us-At-All News, Aaron Carter is now admitting that when he was 15, and spending a night alone with Michael Jackson, Michael gave him wine and cocaine. Honestly, I think the only thing about Michael Jackson that would surprise us is if we heard a young girl was invited to one of his late night parties. Yes, yes, he was an amazing artist but which one of you would let your little boys spend the night with him? Yeah, that's what I thought. And now, this male cheerleader at China's Shandong University shows the other girls how it's done. He's good. And knows how to work a female cheerleading uniform. Work it! Today's WTF?! is brought to you by Sylvester Stallone and Knorr. It's time for Friday FAIL. Though I don't know that this is so much a FAIL, as it is a prediction, if you eat the Teriyaki Bowl. That is why they changed the name to Teriyaki Bowel. Every native Japanese word ends in a vowel or the letter N! Do-mo a-ri-ga-to. Kon-ni-chi-wa. Ka-wa-sa-ki. The Japanese language features five vowel phonemes: /a/, /i/, /u/, /e/, and /o/. Not only do all of its words end in vowels, all of its SYLLABLES end in them (unless they end in 'N')! Unlike in English, these lengthened open vowels are crucial in differentiating between words. Each of these syllables are stressed equally, and most begin with a consonant. Sa-yo-na-ra. Plans for the weekend? It's Canada Day so that means drunken neighbors letting off fireworks late into the night and all the red and white cake/cupcakes/cookies you can eat. Sunday is time for the big Pride parade downtown (huge scandal this year as our Mayor has decided to spend the long weekend with his family instead of attending the parade) so that means drunken neighbors letting off fireworks late into the night and all the rainbow cake/cupcakes/cookies you can eat. Many moons ago when I was a teen, we had a nice mail carrier who was a lesbian. Over the months, me & my mom noticed she was getting quite pregnant, so one day we congratulated her on it. Her response, "Thanks, me and my partner did it with a turkey baster and the help of a caring male friend." 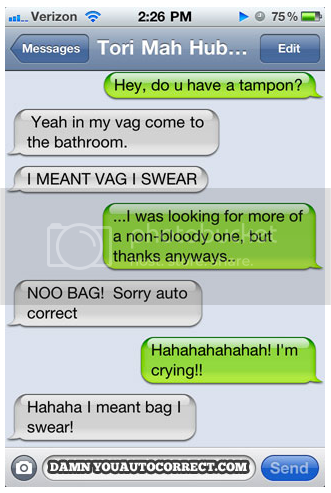 um....TMI!! TMI!! As for weekend plans, we're belatedly celebrating my 30th (sob) birthday with family and going to see Transformers...my hubba and nephew are THRILLED. I love the cheerleader-he's fantastic! Praise the LORD you are back! I don't know how many more cat videos I could take. I for some reason thought you were coming back this week. Geez, and I can't believe it is already the end of the week. Where has the time gone? 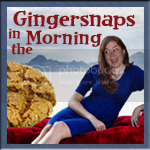 I hope I'm not loosing my memory...and I especially hope its not a Sybil situation. Sally Field has scarred me for life with that performance.